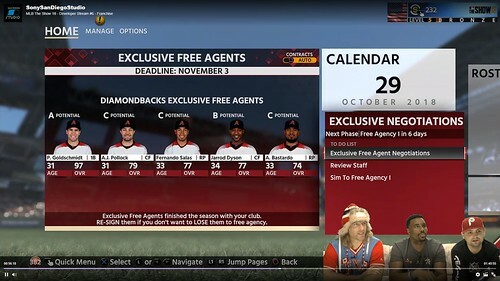 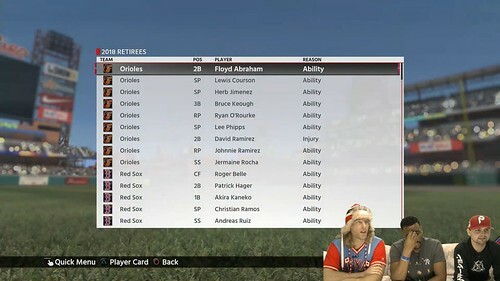 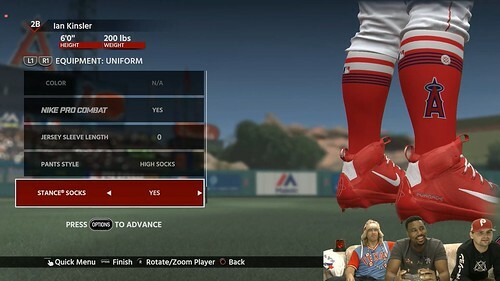 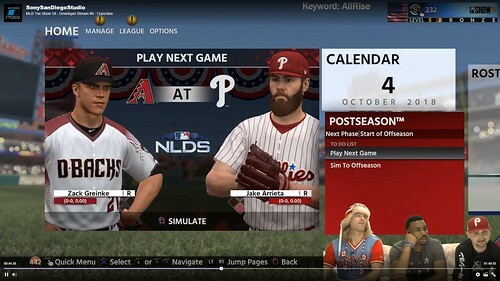 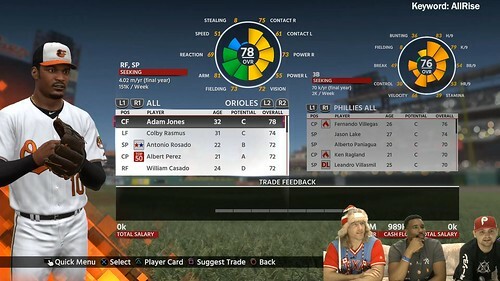 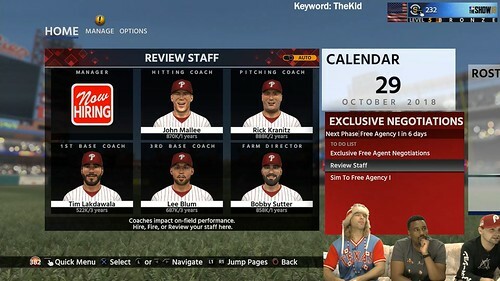 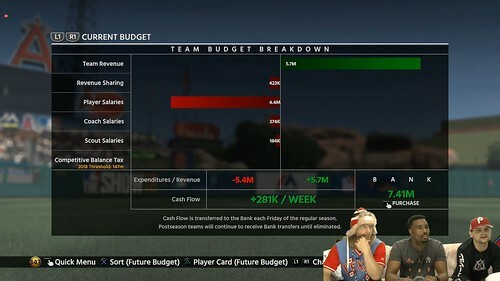 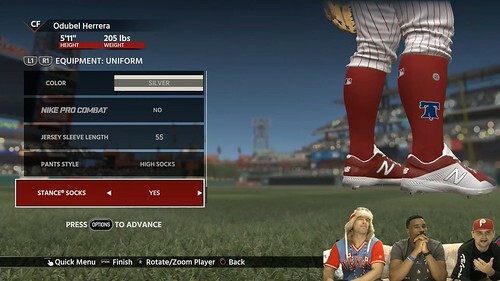 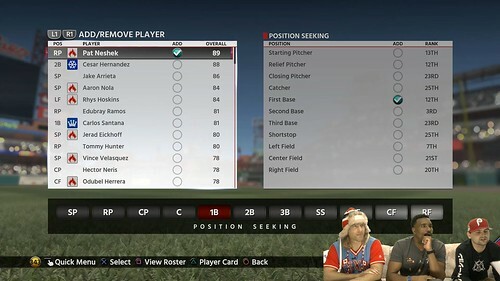 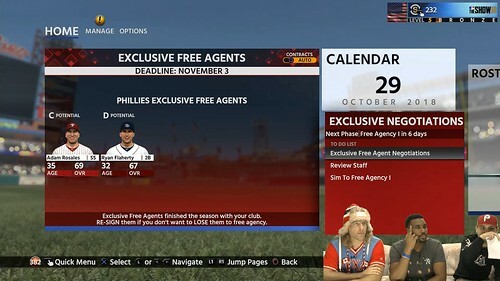 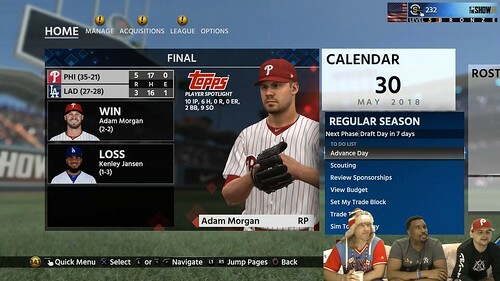 Continue on to watch the Franchise Mode developer stream archive and TGT Recap. 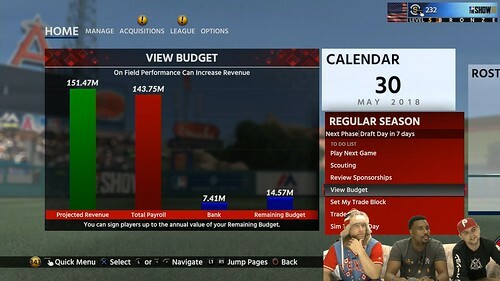 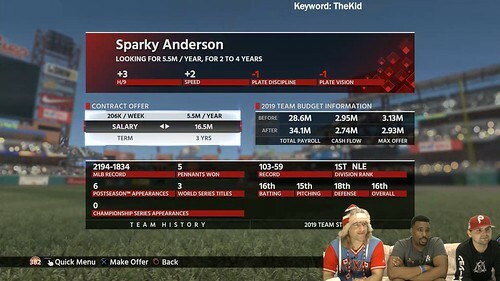 - Post-release evaluation and feedback from MLB 17 showed that there are a lot of aspects in Franchise Mode that users do not utilize and/or understand. Goal this year with Phases is to clarify and bring proper info to the forefront. 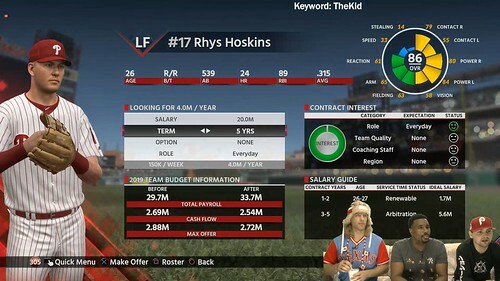 - Some of the Phases include: Spring Training, Free Agency, Trade Talks, Regular Season, Scouting, Review Sponsorships, View Budget, etc. 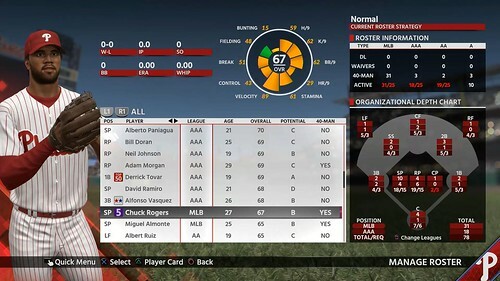 - Can toggle between Auto (CPU controlled) or Manual (user controlled). 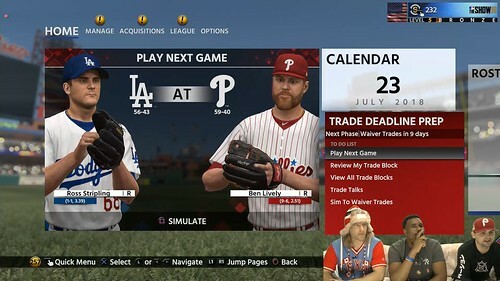 - Trade logic reviewed this year. Players that were injured, should not be traded, players without contracts, etc. 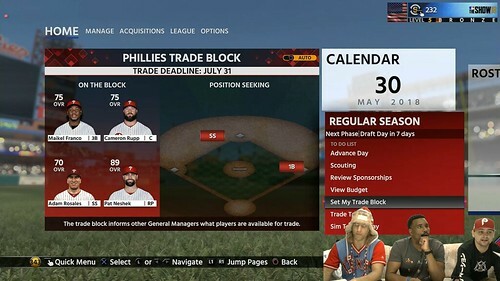 were being traded by the CPU; this has been addressed. - Various ways to play each game in Franchise: Full game, Retro Mode, Quick Manage, Player Lock, or Manage Full Game. 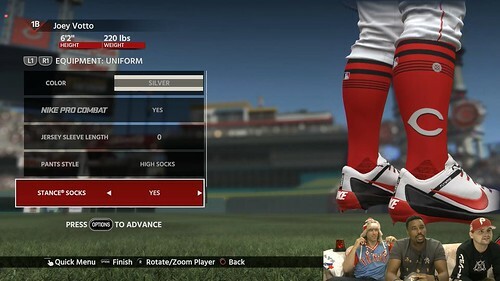 - Stance socks and Varo are now added to Sponsorships. 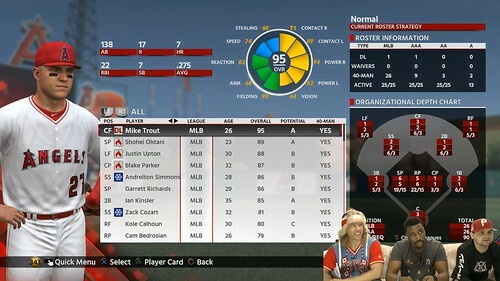 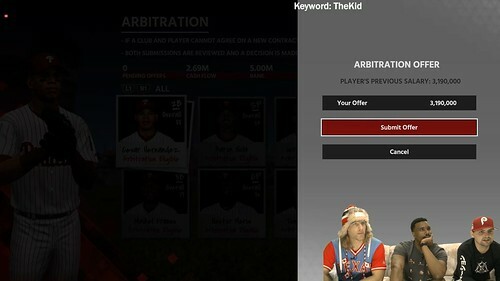 - Updated facescan for Mike Trout briefly shown. 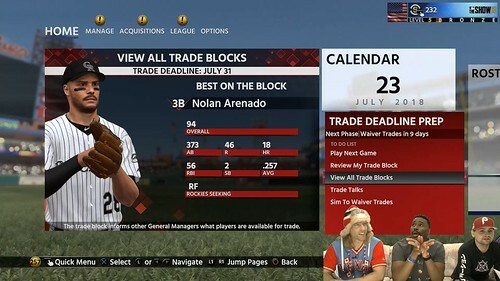 - Trade Block screens shown. 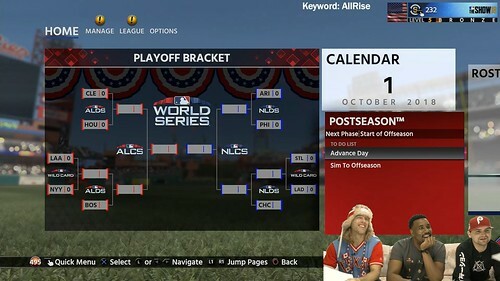 - Users can sim past Phases they do not wish to do, however redesign will make sure users know the event is taking place and it does not get lost. 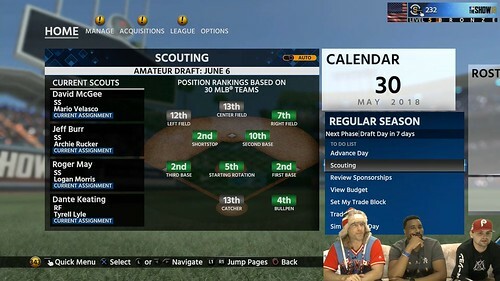 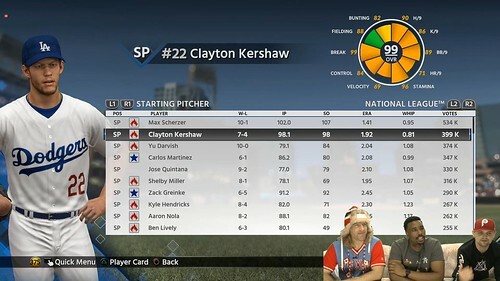 - Several design flaws within the MLB Draft from MLB 17 have been addressed, including having enough potential draftees. 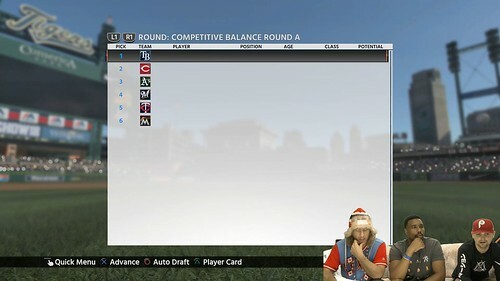 Also, Competitive Balance Rounds and Compensatory Round have been added to the MLB Draft. 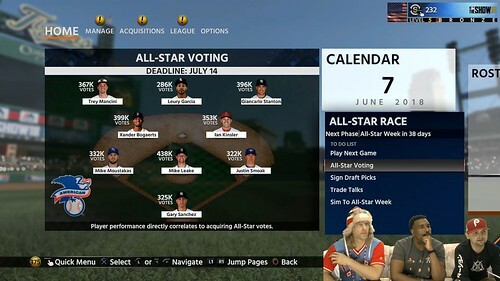 - All-Star Race Phase shown. 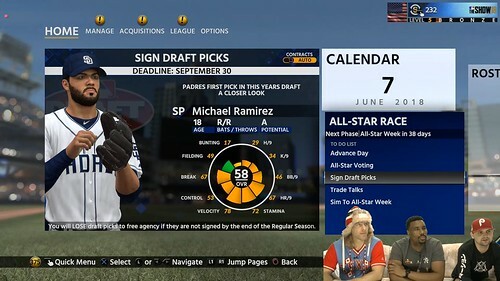 - Sign Draft Picks Phase shown. - All-Star Week Phase shown. 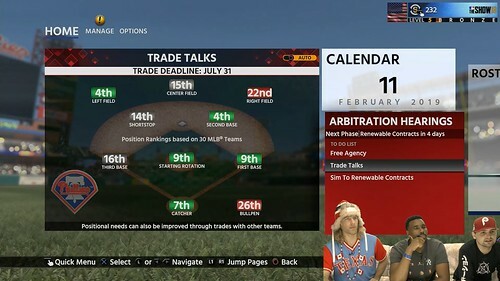 - Trade Deadline Prep Phase shown. 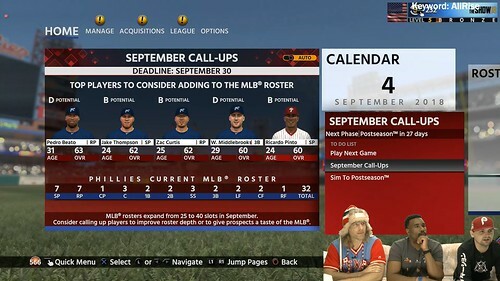 - September Call-Ups Phase shown. 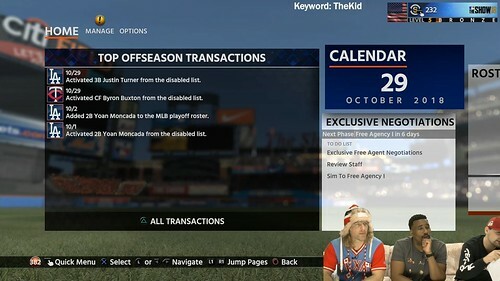 - Offseason Phase shown. Retirement logic has been rewritten to help avoid players from retiring too early. 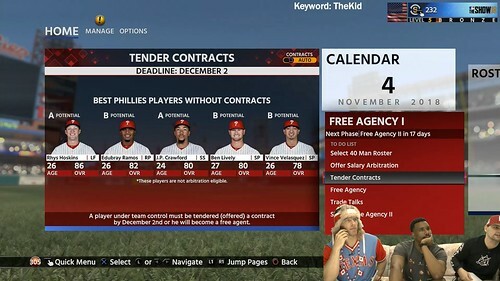 - Contract Management reorganized into separate, more manageable components. 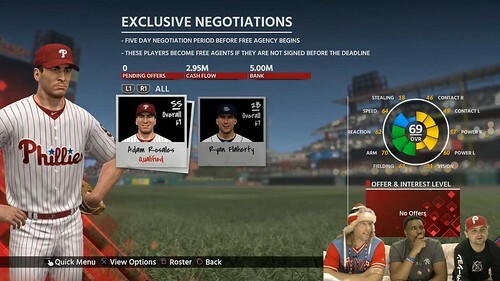 - Exclusive Negotiations Phase shown. 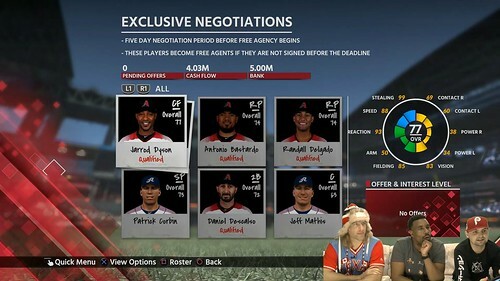 - Free Agency I, II, III, & IV Phases shown. 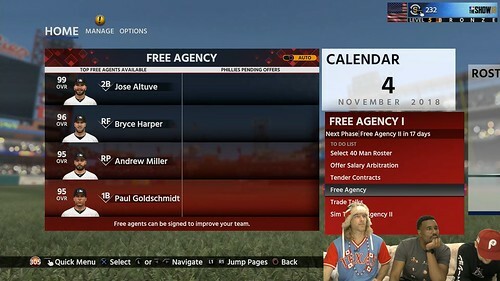 - Winter Meetings Phase shown. 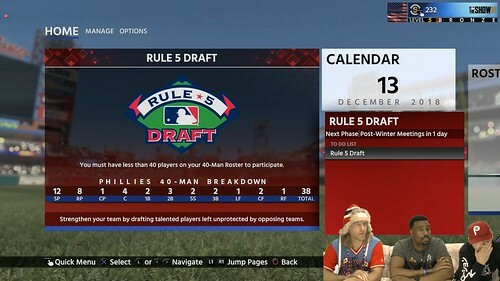 - Rule 5 Draft Phase shown. 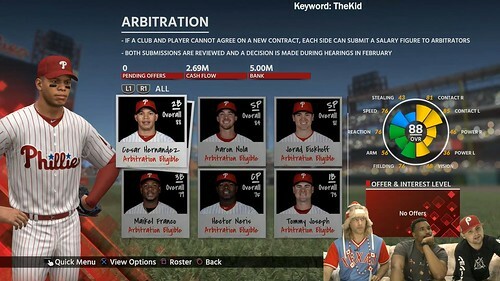 - Arbitration Hearings Phase shown. 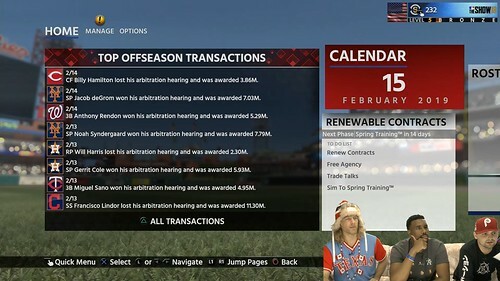 After this, season begins anew with Spring Training. 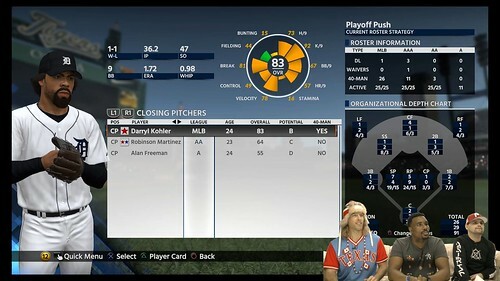 - Dynamic Bullpens: Logic following each series to compare relievers to closer. 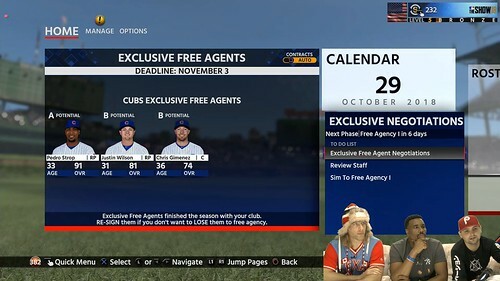 Potentially, closer could lose job to set-up man. 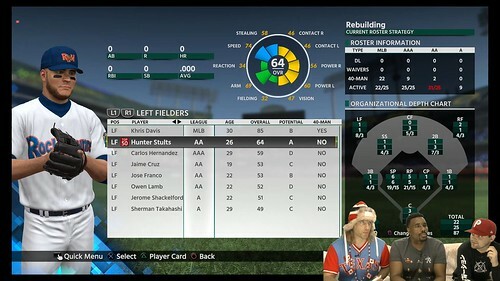 - Lineup Logic: Issue fixed where lineup 5-9 were not being corrected slotted based upon attributes. 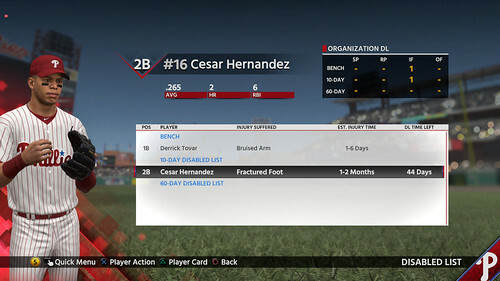 - Injury Issue (Out of Position logic improvement): In past, if 2B were hurt, an OOP position player would replace him but not lose job when starter returned. This is now fixed. 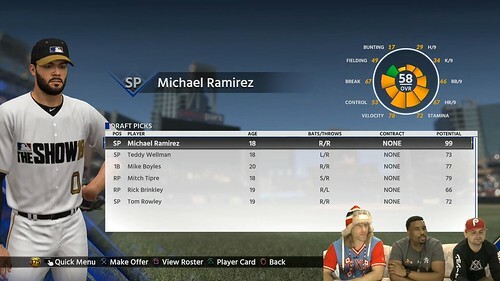 - Minor League Balancing Improvements: Proper number of players at each position across the board. 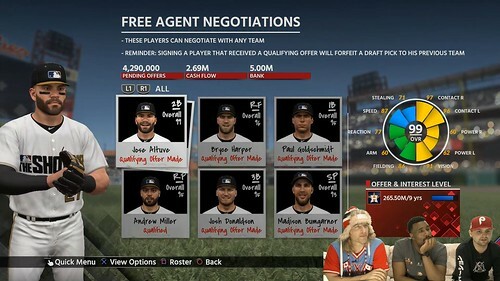 If a shortage, a team will sign someone at that position. 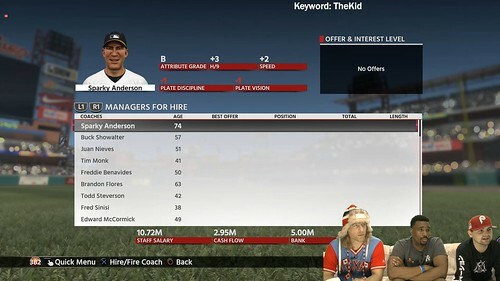 If too many, team may cut player and sign player for position they are short at. 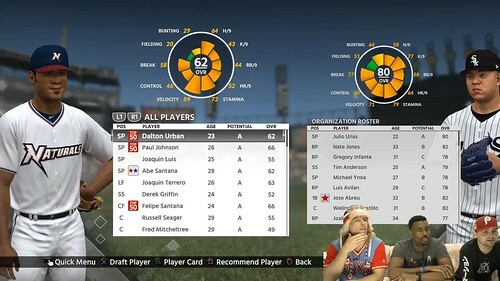 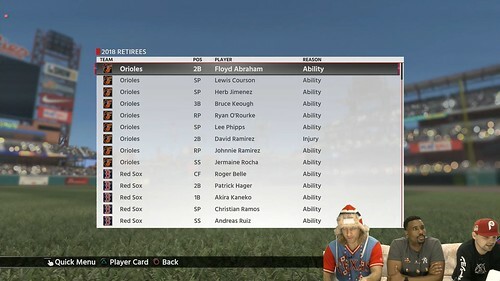 Also, improved call-ups and send-downs based on performance. 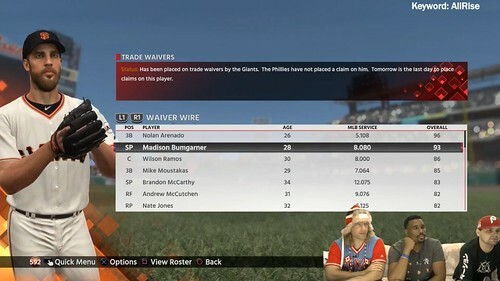 - Clayton and Matthew leave, Chris Gill and Stephen Hass join the couch. 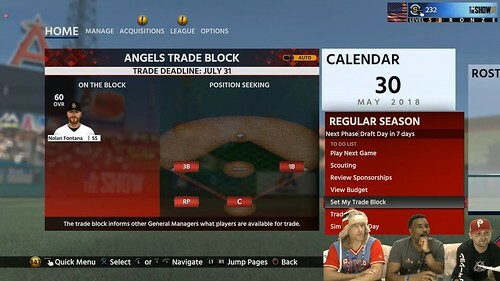 - Rotating interleague schedules are not in the game. 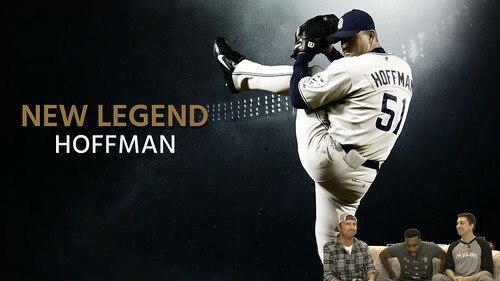 - Gill shares a story of his time playing with the first legend reveal, Trevor Hoffman. 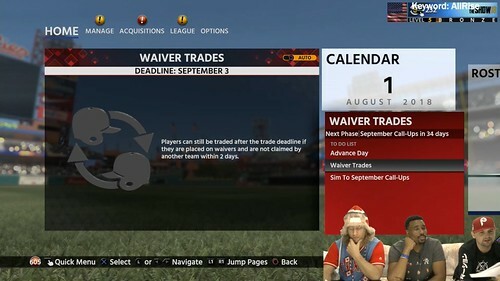 - Gill departs and Schaeffer returns. 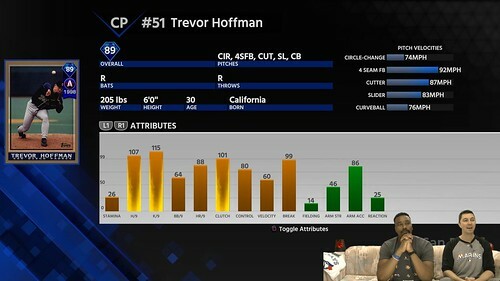 - Ratings reveal for Hoffman. 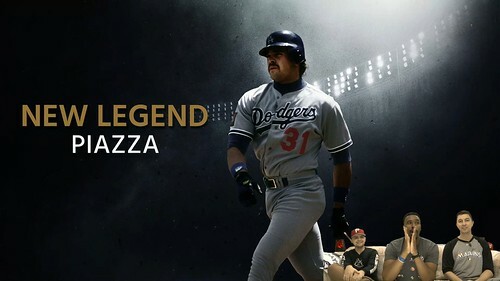 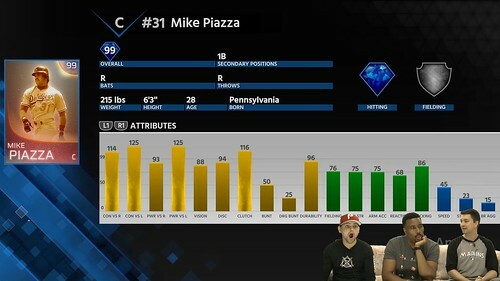 - Second legend reveal is Mika Piazza along with ratings reveal. 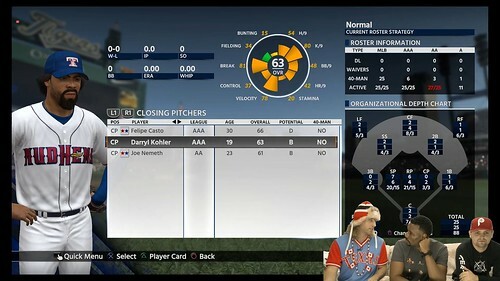 - Schaeffer gives shoutout to Daniel and Christina for their work on making Phases look good. 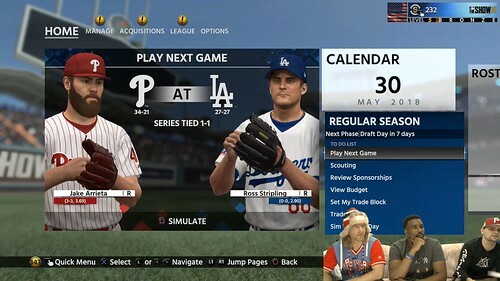 - Next week there will be two streams: Developer Tourney and later on that night a special launch night stream.